And just like that summer is over. The kids are back to school and hopefully some form of normality is resumed as we begin to fullback into routines that are more familiar. We can breathe a little easier don’t you think in the knowledge that we aren’t having to juggle all the balls?!! Whilst routines are being resumed, I also think it’s the perfect time to take a step back and re-evaluate certain areas/aspects of your lives. I recently came across a startup company Wearth London. which got me thinking about our environment and how we buy for our homes. 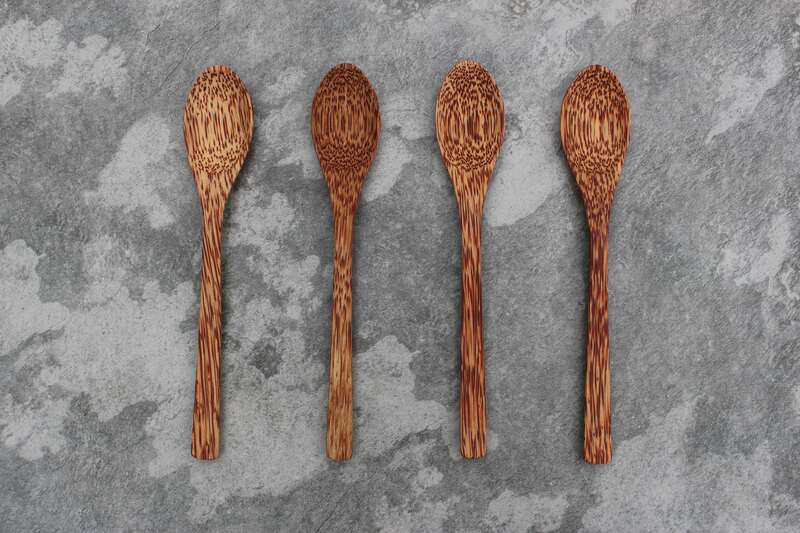 This new online shop’s whole focus is on bringing us the latest independent sustainable and ethical brands right here in the UK and in doing so helping to reduce the amount of plastic pollution. Whether you’re a homeowner or renter, there are choices, no matter how small, that we can make when buying for our homes that can have a positive impact on the environment we live in. I love that Wearth London are lending us a helping hand by curating some of the best ethical sustainable brands available right here in the UK. Companies like Wearth London ensure that we have alternative green choices readily available to us. They make you stop and think actually I could replace x with y. I don’t think we even need to be reminded of the impact of our choices when buying any product whether it’s for the home or otherwise, we all have a responsibility to help ensure a better future for us all. Wearth London is an e-commerce startup set up by two environmentally conscious graduates Ed Davies & Imogen Minoli. They cover everything from natural beauty, jewellery through to homewares and furniture. They’re also the first vegan-friendly platform of its kind in the UK, leading the way in an every growing conscientious market of over 3.5 million people. Plastic is having a devastating impact on the environment and consumers in the UK are becoming increasingly conscious of the amount of plastic they are buying. Wearth London taps into the growing demand for zero waste plastic-free shopping with their range of plastic-free products including steel bottles, beauty products, jewellery and much more. They’re also very transparent about the packaging used for their products and you can see all of their plastic-free products here (which includes delivery packaging). As a sustainable and ethical shopping platform, Wearth London has partnered with over 30 independent UK brands. Making it easier for you to shop in a more conscious way. Considering we live in a world of mass consumerism surrounded by non-recyclable plastic and single-use packaging, we are becoming more and more aware of the impact we are having on our environment. Especially when it comes to plastic pollution and the devastating effect it is having on our oceans and sea life. 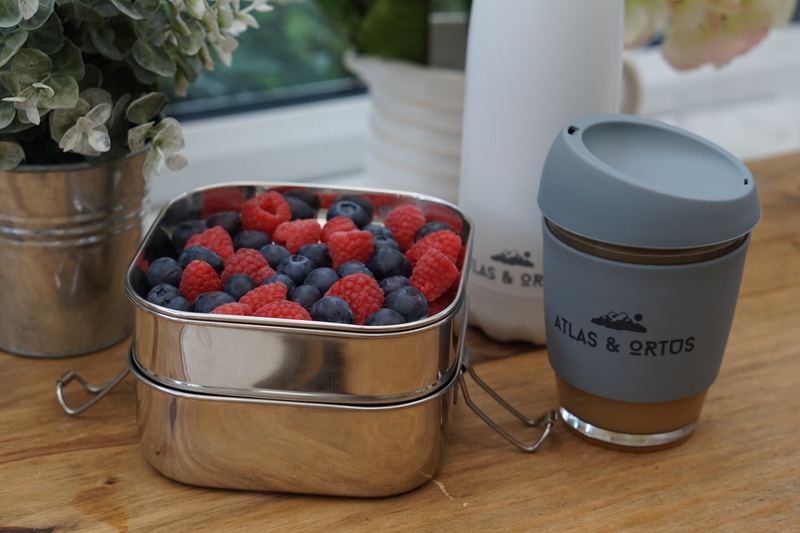 Whilst, we might find it difficult to go completely green when our lives can be unpredictable, we can make small changes to our buying habits that can have a positive impact on our environment. Even the small changes we make can help create a better environment. 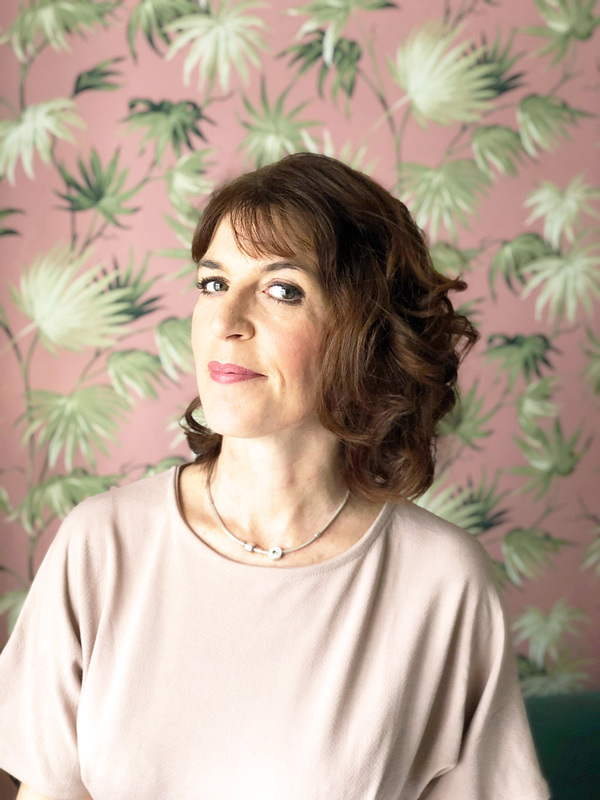 I’ve picked a few of their sustainable ethical offerings to share with you which offer you the ability to switch a few things up in your home to help make the world a better place. 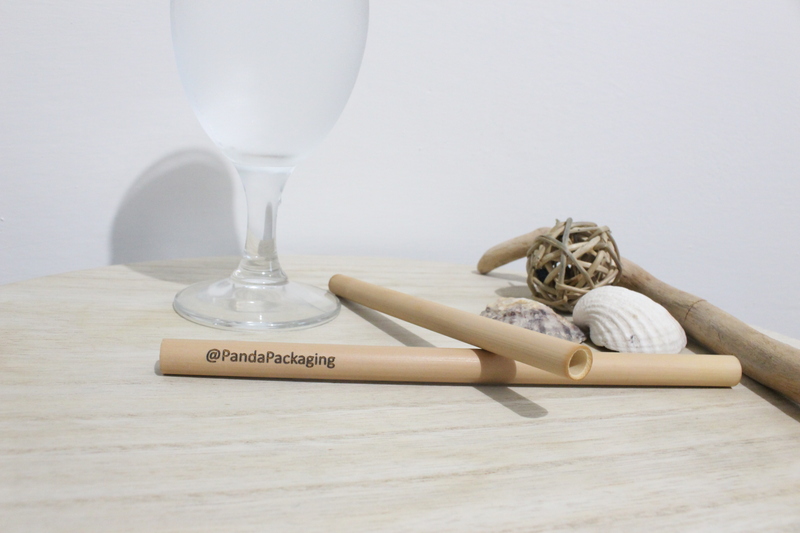 We throw away 8.5 billion straws in the UK each year, these eco-friendly bamboo straws offer an easy way to reduce the number of straws you use, helping to clean up our oceans and protect our environment. These straws are individually handmade using organic and sustainably sourced bamboo. They are designed to be reused many times over and can be used with hot or cold drinks and can be washed by hand in warm soapy water. Brand Story: Panda Packaging was born out of a love and appreciation for our planet with the aim of making it easier to live a more zero waste lifestyle and help tackle plastic pollution. 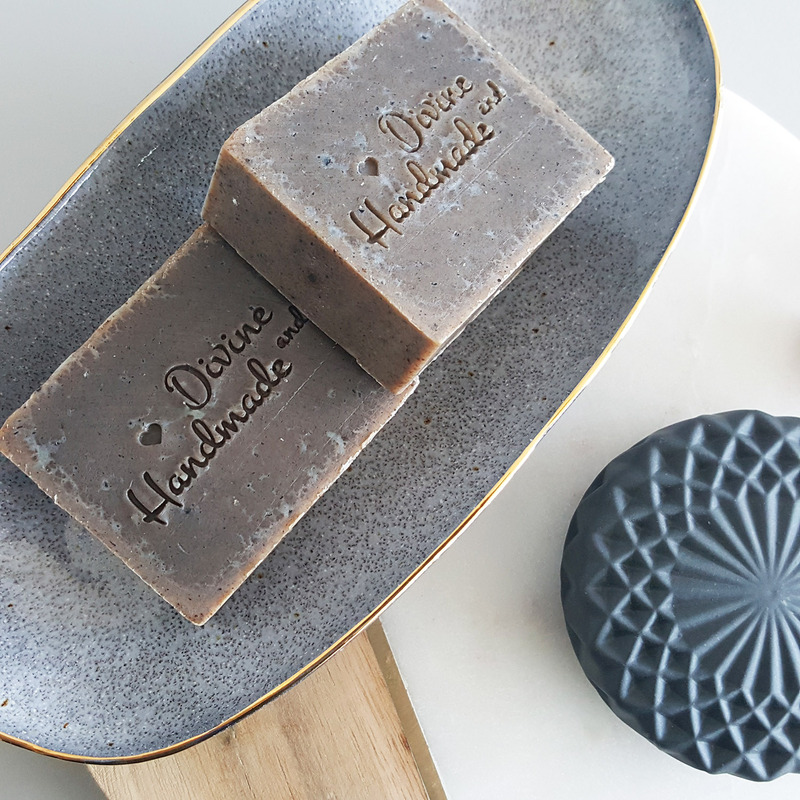 Their team has created a range of innovative and sustainable lifestyle products which are all handmade without the use of harmful substances. 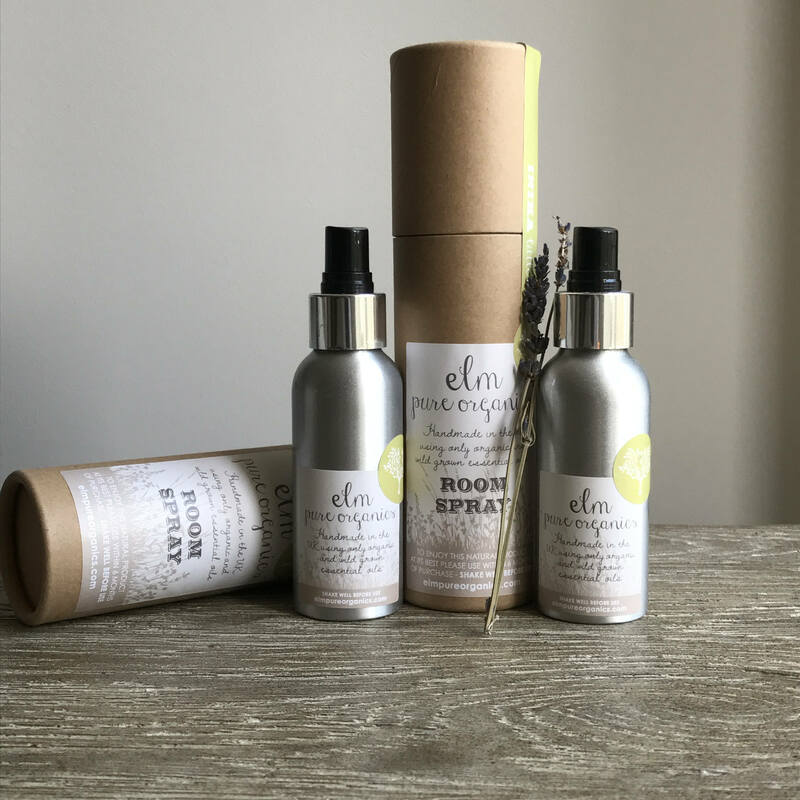 Wearth London stock a range of organic room fragrance sprays, handmade in London by Elm Pure who use pure ethically sourced essential oils. Lemanja – An exotic fragrance, combining warming Organic Thai Lemongrass, Exotic Black Pepper counterbalanced by Sweet Fresh Basil. Transport yourself to the citrus scent on a Far-Eastern beach and relax with this therapeutic scent. Inika – Calming Organic Chamomile is hand-blended with relaxing Organic Lavender, healing Organic Rosemary and warming Lemongrass. The combination is a soothing, warming, relaxing scent to envelop you and your little ones into a deep slumber. Dakota Meadow – A gorgeous scent envelopes your home in a pure, fresh and calming scent. Organic floral Geranium Rose and aromatic Sage, twisted with calming Lavender. Dakota Meadow is a summer stroll in the English countryside, enveloping your home with continuous, long-lasting subtle scent. 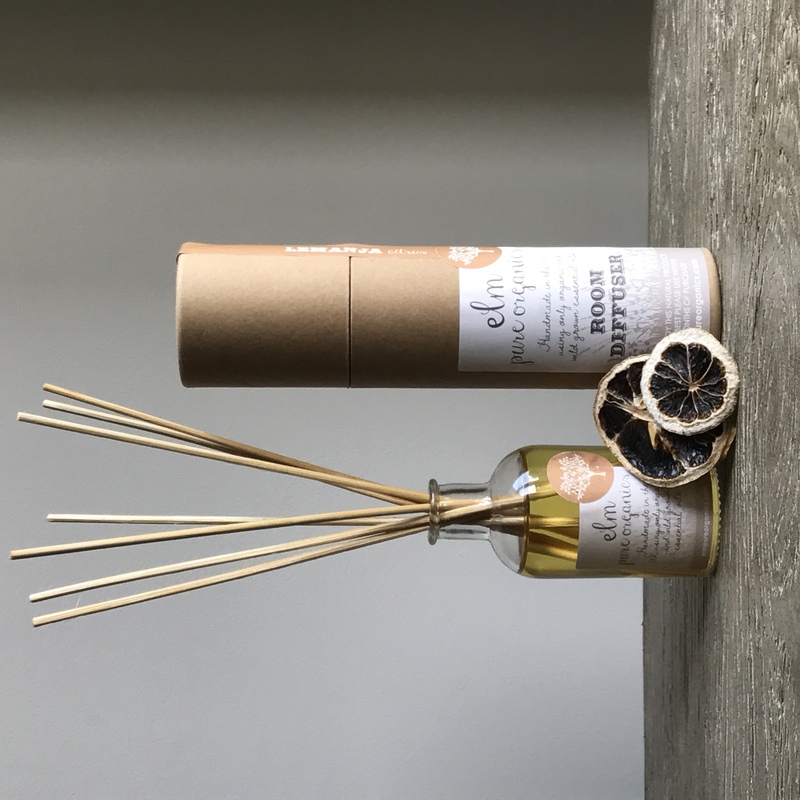 Brand Story: Elm Pure Organics, named after the farm she grew up in, was founded by Naomi, a doctor and mother of five who was inspired to create her own products by the lack of natural and organic home fragrance products in the UK. Naomi was amazed at the number of brands claiming to be organic yet were full of nasties. In contrast, all her home fragrance products are made in small batches using 100% pure organic essential oils. 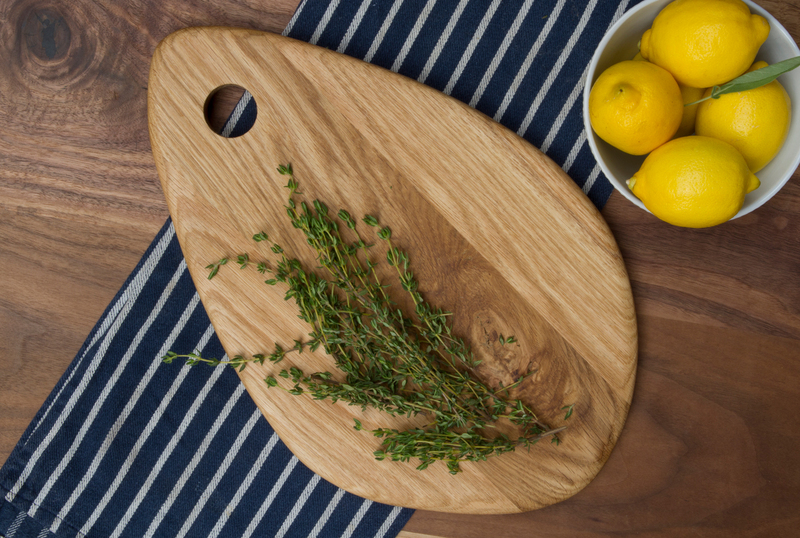 Klip Oval Chopping Board – Konk! High quality ‘klip’ chopping board, handcrafted in Bristol from the workshop’s leftover wood from Konk’s sustainably sourced European Oak furniture. I’m loving its unique oval design with smooth round edges and it’d look good in any kitchen. What’s also rather wonderful is that each chopping board is made to order making each unique to its owner. Brand Story: Konk! 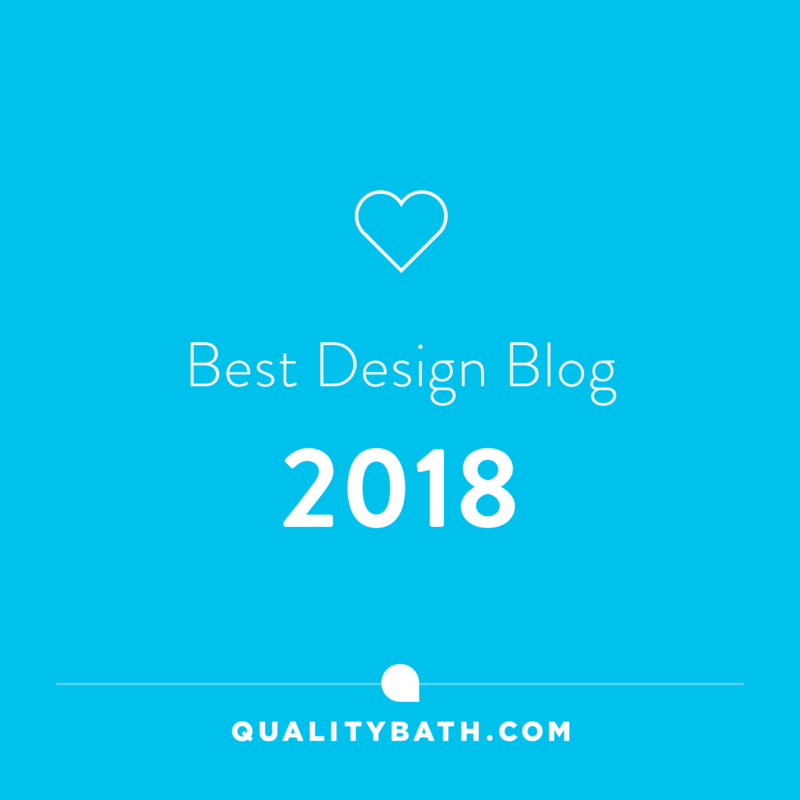 was started by Alex, an architecture graduate who began making furniture by hand on a small-scale and from there it has grown into an established furniture and homeware maker based in Bristol. Alex and his growing team have always committed to using the highest quality and sustainably sourced materials. Their focus on quality and craftsmanship results in stunning pieces for the home which are made to last. You can’t beat a stylish ottoman bench offering a great storage option for the end of your bed or for the hallway. 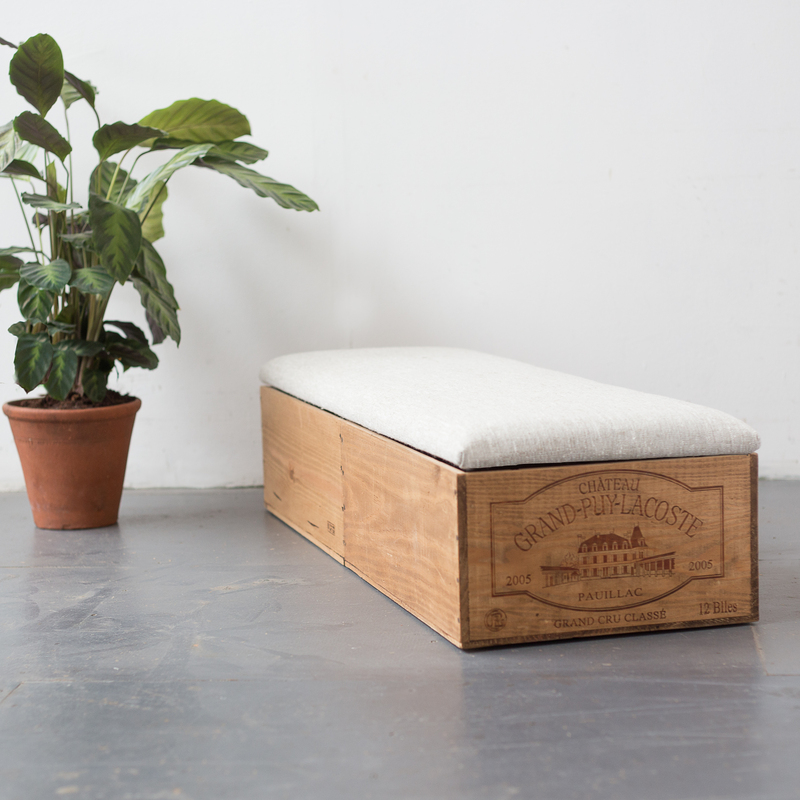 Each ottoman offered by Wearth is handmade in Bristol by Made Anew. They use restored French wine crates and are made to order. Brand Story: Made Anew is run by Chloe who makes all her modern and minimal pieces by hand in her Bristol workshop using only sustainably sourced materials. Made Anew’s designs focus on functionality whilst transforming recycled materials such as old wine boxes and reclaimed timber into stunning statement pieces fit for any home. 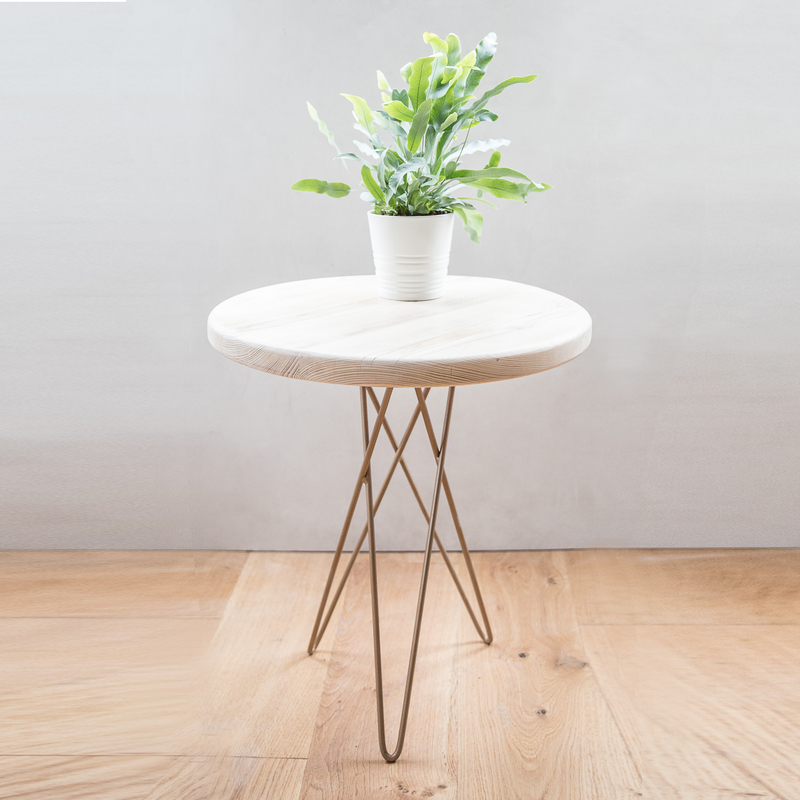 Another design by Made Anew, this contemporary hairpin side table design is handcrafted to order in Bristol using high-quality reclaimed timbers. Whether you use it as a bedside table, or in the living room to perch your cuppa on, it’s a wonderful minimal statement piece. Available either in pale ash (as photographed) or medium oak finish. What’s also great is that the tabletop is finished with solvent-free matt varnish to ensure the table top is durable and won’t stain with watermarks etc. 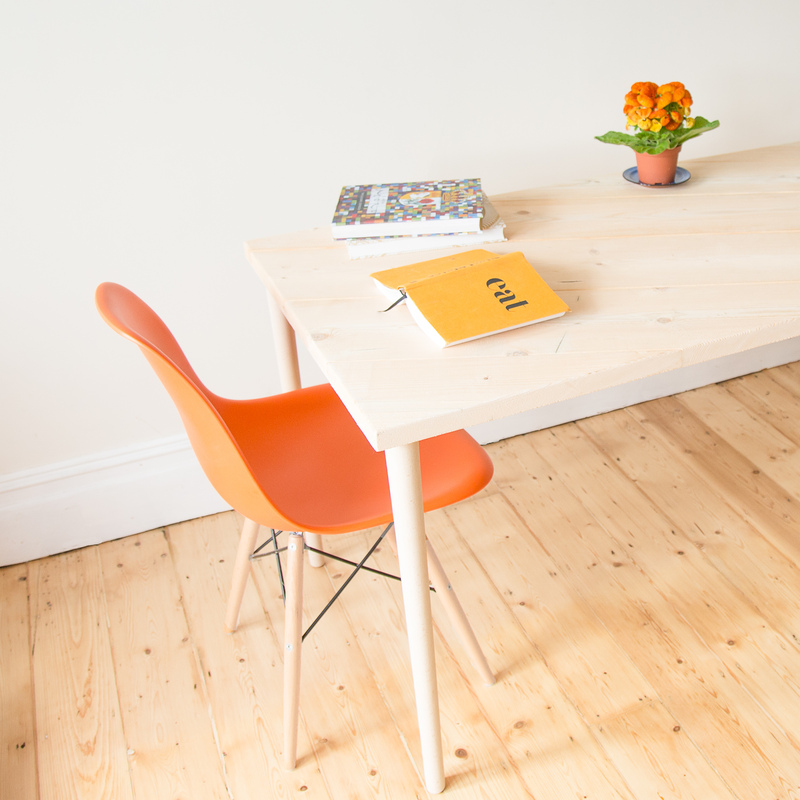 Hand built in Bristol from reclaimed timbers this mid-century meets modern design dining table would also work well as a desk in your home office. Each table is made to order and the table tops are finished with solvent-free matt varnish to ensure the table top is durable and won’t stain with watermarks. It’s designed to seat four comfortably (but can fit 6) and is available finished in either a blonde wood or mid oak coloured wax finish. You’re also given the choice of whether you want wooden tapered legs or contemporary hairpin legs which made from beech and are turned locally. Made from reclaimed wood this one of a kind lamp is exclusive to Wearth London. Beautifully crafted in London, the wood is worked to a soft, smooth finish, then drilled through and an antique brass lamp holder is fitted on top. The synthetic silk fabric cable enhances the industrial aesthetic of the piece and adds a pop of luxe. The lamp features a decorative Edison bulb, which is included. This lamp has a rustic finish with all cracks and holes left in their original state. It’s protected with a high gloss varnish. Brand Story: Based in Hackney Wick, London, Verkstad Design specialises in lighting, homewares, and accessories made from reclaimed pallet wood – transforming waste into beautiful, unique pieces for the home. Their idea started with a desire to make products with a story. Starting with a pallet coffee table and then through research and experimentation a signature product; the block lamp. Inspiration comes from the industrial surroundings of Hackney Wick, contrasted with the soft tones and tactile materials of Scandinavia. These beautifully crafted homewares fit in well in any surrounding, from stylish new build apartments, to sensitively restored Victorian end-of-terraces. Have you made any changes to your buying habits or chosen alternative environmentally friendly products for your homes? It would be great to hear from you! Have a great week and thanks for stopping by! 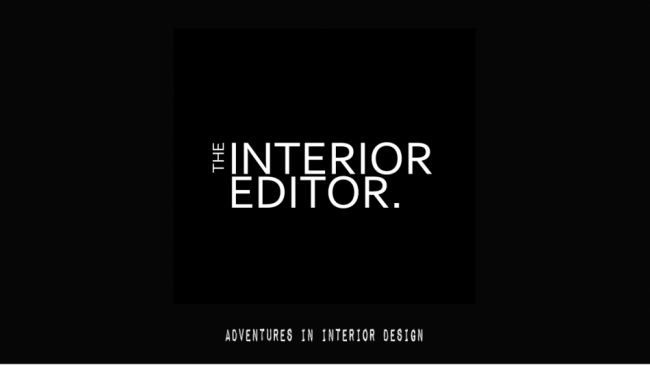 An Interior Designer passionate about design and interiors. Journalling her adventures in Interior Design. I'm an Interior Designer who is passionate about Interiors and Design. I believe our homes should represent who YOU are, what YOU love and what makes YOU happy. After all, our homes are part of our life's journey so lets make them great together! Categories Select Category About Accessories Affordable Design Finds Alternative Design Art Bathroom Edit Bathrooms Bedrooms Bite Size Design Tip Childrens Bedrooms Colour Inspiration Design Crush Disability Friendly Form & Function – Design Finds Furniture Design Hallways home decor Home Office Home Technology Home Trends Houseplants Interior Decor Interior Design Interior Design Student Interior Inspiration Interior Styles It’s The Little Things In Life Kitchen Decor Kitchen Edit Let’s Get Organised! Lighting Meet The Designer Outdoor Spaces Pattern Real Homes Tour Room Decoration Seasonal Touches Shop Love Small Space Living Soft Furnishings Splurge vs Save Sustainable Living Texture The I.E. News Win Me!